Smells like a cross between dead possum and burnt popcorn. Worst. Smelling. Wood. Ever. Desert Ironwood grows in the washes and valleys of the Sonoran Desert below 2,500 foot elevation right along side the Saguaro Cactus. They are scrubby slow growing little trees that rarely attain a height more then 15 or 20 feet. Desert Ironwood is very dense. It’s one of the 10 heaviest woods in the world which means it does not float in water. The wood is a dark brown with even darker brown and black streaks. When polished it can attain a chatoyant luster. Desert Ironwood and Texas Ebony are the only 2 woods native to America that can be considered true exotic woods. I noticed this in the picture montage for the Kickstarter (druid set), but didn’t see it on any of the lists. Is this available as a choice? yes mike it will be available. when we were initially sorting the woods in to their specific lists some of them got left behind. we did not catch it until after mark made that awesome montage for us so this wood appears there. it will actually be available via the gaea’s preserve backer level once we hit $90K. 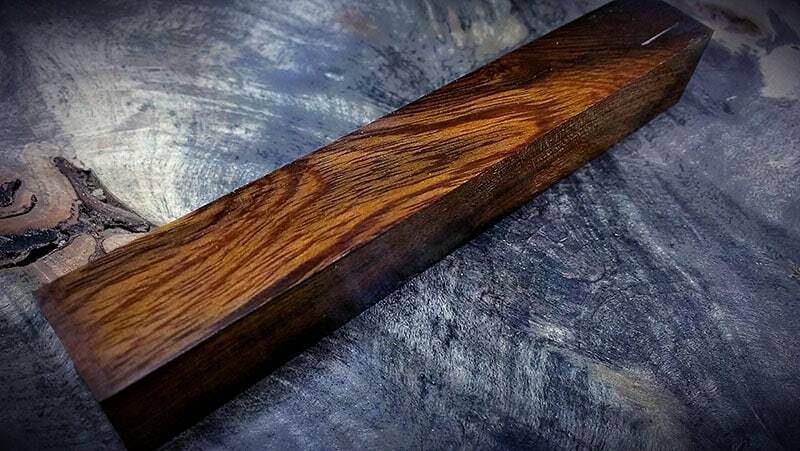 Read the description of the scent that comes from working Desert Ironwood, and started laughing; I make pens as a hobby, and have “enjoyed” the smell of desert ironwood on occasion. I never quite thought of it as burnt popcorn… I always thought of it as the smell of an unwashed rear-end. Definitely makes me long for the working smell of much more pleasant woods, such as Lignum Vitae. yup most woods smell pleasant or don’t have much of a smell. desert iron wood smells horrid. it is really freaking pretty though. I would love a set of these! They sound exotic enough for me to use for any “nature-oriented” game I could play!